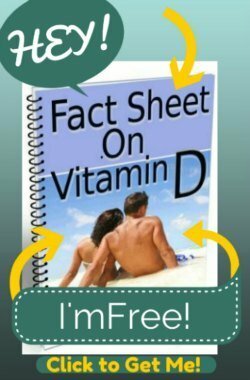 These can be absolutely lifesaving in preventing the potential damage that can be caused by this high blood pressure, it MUST be given under extremely closely watched conditions in the Intensive Care Unit, Emergency Department or Post Anesthesia Care Unit by nurses who have been trained in how to use it properly. As mentioned, it certainly has saved lives and is only used after other drugs have failed to reduce the blood pressure, it certainly has a unique set of Side Effects that can be dangerous and even lethal. But one of these lethal side effects has TWO perfect solutions that are virtually never used- despite the fact that it could save many lives every year, is readily available, and is amazingly inexpensive. Low blood pressure is an obvious problem in a drug that can powerfully lower blood pressure. And Nitroprusside can lower blood pressure QUICKLY, causing some people to react with DANGEROUSLY low blood pressure extremely quickly. This low blood pressure can progress to brain damage from low oxygen, a condition medically known as 'Hypoxia', rapidly if the medical professionals don't take action quickly. If this were to continue beyond hypoxia, it can- and has- also led to death. Serious low blood pressure can ALWAYS be a problem since it is never known how a patient's blood pressure will react to this drug, but there are usually many precautions in place to decrease the possibility of this happening. Many hospitals even require the use of a tiny monitor, similar to an intravenous line, that projects the continuous real-time second-by-second blood pressure onto a screen that both the nurse caring for the patient as well as a 'monitor technician' can watch 24 hours a day for extra caution. While many many precautions are put into place, Sodium Nitroprusside is a dangerous drug that at least some people die of low blood pressure from every year. A less severe and almost completely overlooked side effect of Nitroprusside is that it decreases Vitamin B12 levels. While this is not usually an acute problem in the hospital, just like the Vitamin B12 lowering as a Nitrous Oxide Side Effect, this problem can cause long-lasting neurologic and/or nerve damage that will often never be recognized as being a result of the medication administered. The people receiving these powerful drugs are elderly, or have other serious chronic health problems, which these neurologic problems will be attributed to. Cyanide poisoning, interestingly, is always a possibility with the administration of Nipride. Since the drug converts in the bloodstream to this dangerous poison, it ALWAYS creates an increase of cyanide in the bloodstream in every person. Studies have shown that even patients who don't show symptoms of cyanide poisoning can still have blood levels four times higher than normal while receiving the drug. Nurses and doctors who take care for patients getting an infusion of Sodium Nitroprusside are generally aware that it creates cyanide as a byproduct. Most hospitals have a 'protocol' in place to perform regular lab tests, during administration, in order to detect dangerous levels of cyanide before the patient becomes toxic. Unfortunately not all hospitals have the ability to test blood cyanide levels 'In-House'; then the blood is sent to another hospital, where lab results may not be available for several days to a week!! So much for these 'protocols' protecting patients from potential cyanide toxicity. But there are MANY studies that show that if Vitamin B12 or another natural substance called Sodium Thiosulfate were given routinely in the hospital, then nearly 100% of cases of death from cyanide poisoning from Nipride would be prevented. 100% of these deaths could be prevented with simple Vitamin B12!! While in Europe, Sodium Thiosulfate is generally administered along with the Nipride to prevent this problem, in the US neither Sodium Thiosulfate NOR Methylcobalamin are administered routinely with Nipride. 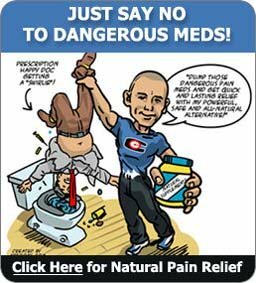 This is despite the fact that both substances are extraordinarily safe, beneficial to the body, inexpensive, and will prevent nearly all cases of cyanide poisoning.